Eye Wear of your choice available here at Malaya Optical. 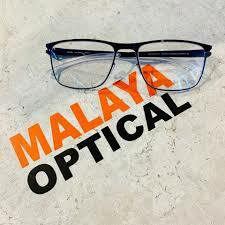 Check out the collection of spectacles eyewear from Malaya Optical. We are your qualified Optometrist from Petaling Jaya located in Damansara Uptown and we sell a range of eyewear brands here. 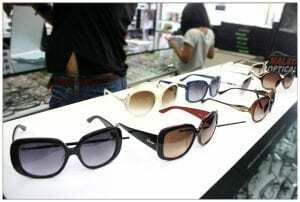 The mainstream eyeglasses brands that we have at Malaya Optical in Petaling Jaya are Acid Funk, Agnes B, Aha, Alero, Andy Wolf, Armani, Asialah, Bevel, BLAC, Blackfin, Bonia, Bottega Veneta, BOZ, Burberry, BUZ, Bvlgari, Byblos, BYWP, Calvin Klein, Capulet, Carolina Hererra, Centrostyle, Cholattier, Christian, Coach, Coppe+Sid, Crispin Bees, Deep SG, Derek Lam, Derrapage, Dior, Dita, DKNY, ECO, Elizabeth Arden, Elle, Emporio Armani, Esprit, Essedue, Eyefunk, F-KOO, Fenders, Fendi, Fitovers, Fossil, Frank Custom, Frank Kids, Free Form Green, Frency Mecury, GF Ferre, Giorgio Armani, Givenchy, Gold & Wood, Goode, Gotti, Gucci, Guess, Haus Marke, Hiari, ILINC, JF Rey, John Richmond, Jonathan Paul, Jonathan Paul Fitovers, Johnathan Paul, Johnathan Paul Fitovers, Julio, Julio Junior, Julio SG, Kate Spade, Kinsole, Komono, Lacoste, Lafont, Laura Ashley, Less Than Human, Levis, Lindberg, Longines, Lookid, Mallee Bull, Manish Arora, Marc by Marc Jacobs, Marc Jacobs, Markus T, Masaki, Maui Jim, Max Mara, Michael Kors, Mini Cooper, Minima, Minima Junior, Miu Miu, Modo, Moscot, Mykita, Nike, Nikon Titan, Nova, Oakley, Oliver Peoples, Oval Takumi, Oxibis, Parasite, Paris Hilton, Perfet Number, Plak, Playn, Polaroid, Porsche, Prada, Progear, Paul Frank, Vuillet Vega, Ralph Lauren, Ray-Ban, ROAV, Rubig, Rudy Project, RYAN ADDA, Rye & Lye, Sama, Silhouette, Spivvy, Staffan, Starck, Steel Buam, Superdry, Swissfles, SYUN, Tag Heuer, Tailor Hitch, Ted Baker, Tom Ford, Tommy Hilfiger, Torino, Tous, Undostrial, Victor & Rolf, Vivian Westwood, Vogue, Whiteout & Glare, Wolfgang, Woow, Yellows Plus, Zeiss, Zoobug, and Zottes. You can’t get so many of the “Designer Eye Wear” anywhere else except in Malaya Optical Damansara Uptown. We bring the best handmade “Designer Eye Wear” from all over the world to Malaysia. If you looking for eyeglasses with different shapes and style to suit different face shapes such as Round Face, Oval Face, Oblong Face, Inverted Triangle Face, Square Face, Rectangular Face or Heart Shape Face. We also carry a variety of materials of eyeglasses and sunglasses such as Plastic Eye Glasses, Metal Spectacles, Ultem Sunglasses, Titanium Specs, Stainless Steel, NXT Material Eye Glasses, Carbon Fiber Frames, and many more.